Fugitives for over two decades, Narvaez, alias “Pajas,” and Alberdi, alias “Maria,” had been hiding out in Puerto Vallarta’s growing Spanish community. 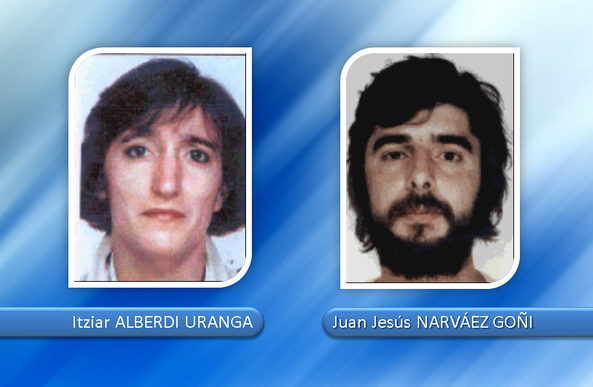 Detained for residing in Mexico illegally and for possession of false identification papers, the couple were immediately deported to Spain where they stand accused of participating in a series of terrorist acts in the buildup to the Barcelona 1992 Olympic Games. “Until this unit was broken up, on March 21, 1992, and in just one year, this unit carried out several attacks with explosives and firearms, with the tragic toll of 18 murders and several serious injuries,” the Spanish government said in a statement. Founded in 1959 with the aim of winning independence for the Basque Country in the border area between France and Spain, Euskadi Ta Askatasuna (ETA) is blamed for killing 829 people, injuring thousands and kidnapping dozens more. ETA announced a “definitive end” to armed activity in October 2011 but it has yet to formally disarm or disband.